Not sure which to get? Let them choose! 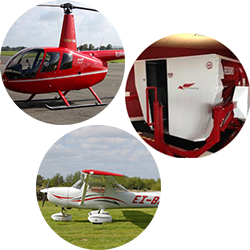 Experience what an Aeroplane or Helicopter has to offer in some of Ireland's most scenic countryside. You will get a hands on experience with the machine and learn how to delicately control the machine around the skies.